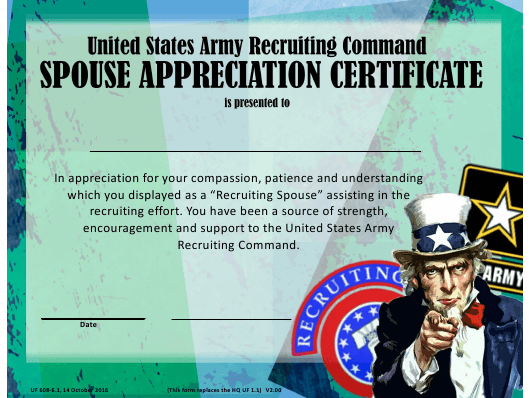 Form UF608-6-1 is a United States Army Recruiting Command form also known as the "United States Army Recruiting Command Spouse Appreciation Certificate". The latest edition of the form was released in October 14, 2016 and is available for digital filing. Download a fillable PDF version of the Form UF608-6-1 down below or find it on United States Army Recruiting Command Forms website.